Hi everyone! 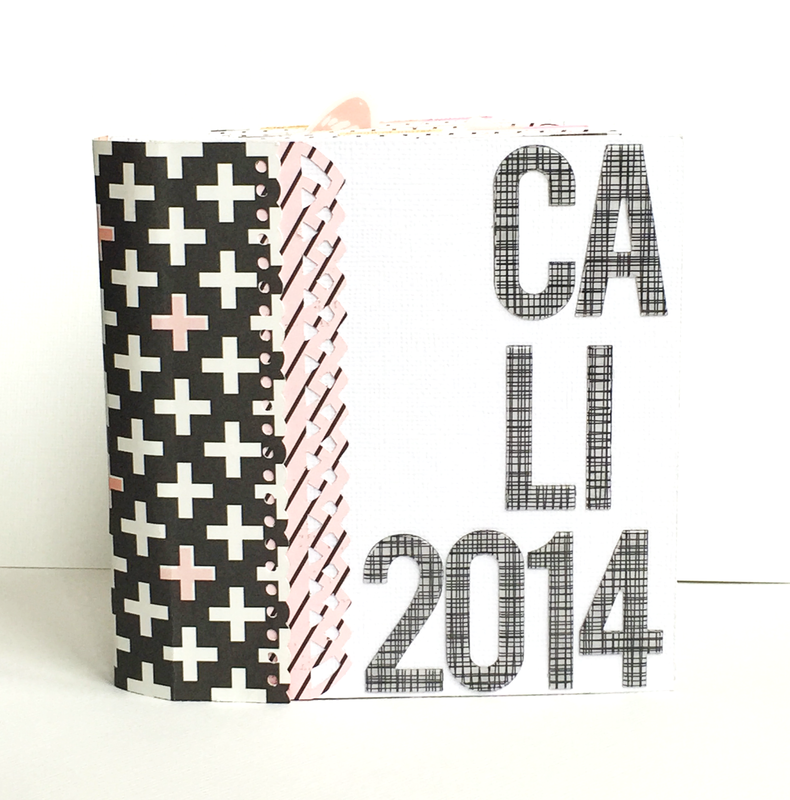 Today I have a mini album to share about my California road trip. I have made a couple layouts about it, but I always need to have a mini about each trip. For the base of this album I used this cut file from Lori Whitlock for the Silhouette. Every now and then I like to use collections in a different way than they were meant to be. 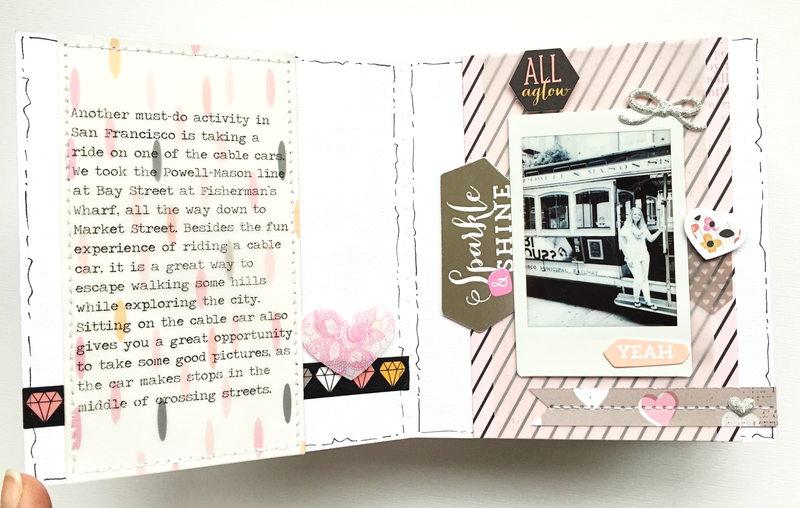 For this album I used the Pink Paislee Bella Rouge collection, which is definitely not a travel themed collection, but I wanted to show that it can work anyway. I kept the cover and design of the pages clean and simple and used a white cardstock base. I wanted the title to jump of the cover. On all the pages I did put the photos on the right and the journaling on the left. 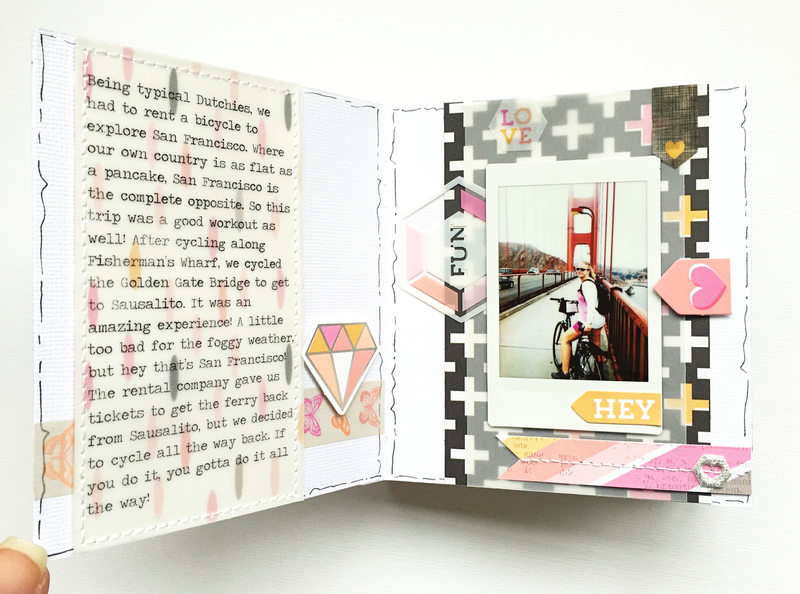 All journaling is printed on vellum, backed with patterned paper and stitched onto the pages. You can find this gorgeous collection overhere in the Paper Issues store and when you use code DANIELLE20 at check out, you will get 20% off of your entire purchase! 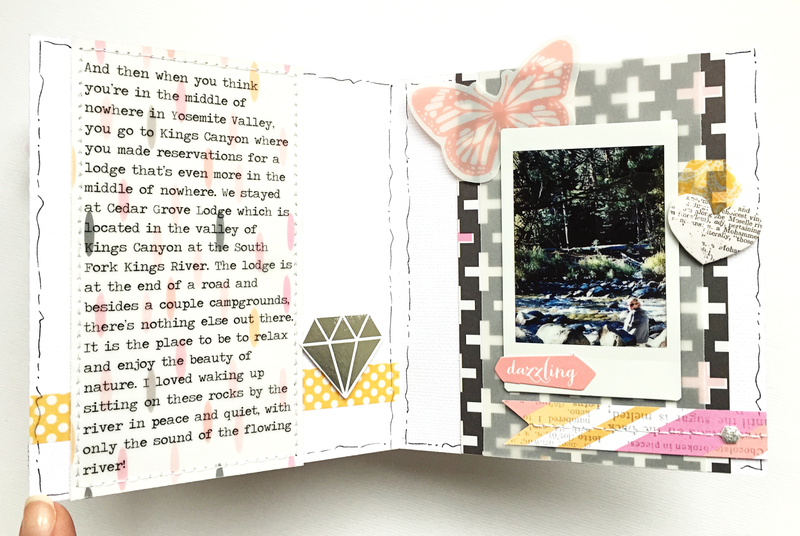 The journaling in here is amazing! Awesome album!!!! love the story!!! You used this collection perfectly! It came together so nice!! cute mini! love how cohesive the design is throughout! Love it! Love it! Love it! I am going on my first cruise in March and this wonderful idea will let me document it perfectly. Thanks for the inspiration and ideas.